Sarah's shelfie with some of her books at home. It’s the classic summer scene: you stretch out by the pool or on the beach, casually toss your flip flops to the side, a glass of iced tea sweating next to you. You reach into your bag and pull out…that read. You know the one. The one you’ve put some forethought into. Maybe you solicited recommendations from friends on Facebook, or maybe you went to the bookstore solely with the mindset of, I’m just going to see what calls to me from the shelves. If you’re like me, the anticipation of summer is coupled with the anticipation of summer reading time. Whether your tastes skew fantastical, informational, or somewhere in-between, the reading time when the temperatures rise and the air is filled with the sound of humming air conditioners may as well be sacred – it’s a true indulgence, don’t you think? Here at FableVision Studios, we put together our indulgent summer reading list, be it a magazine, novel, comic book, or whatever we’re flicking through this summer. Read on, add to our list with your own recommendations, and ask your friend the question: so, what reads are you devouring this summer? The Eustace Diamonds by Anthony Trollope: I've been reading the Palliser Novels, a series of six novels by Anthony Trollope; I just finished The Eustace Diamonds, which is the third. They're serials from the 1860s and 1870s, and are full of drama: broken engagements, fistfights, jewel thefts, and illicit waltzes. Interestingly, the novels also depict the political and class struggles of the time, which provides an interesting counterpoint to our current political climate. The Name of the Wind by Patrick Rothfuss: On the enthusiastic recommendation of a close friend, I'm reading the popular fantasy novel by Patrick Rothfuss. The Man Who Invented Rock 'n’ Roll by Peter Guralnick: Recommended only for those who want to read every little detail about the man who founded Sun Records and had an idea for a kind of music that would change the world. I’m not yet to the part of the book where Elvis Presley comes into the studio, but overall this story is a piece of history that I care a lot about. Snotgirl by Bryan Lee-O'Malley: Bryan never fails to disappoint. After Scott Pilgrim and Seconds, I have high expectations for this series even after Issue 1. The story begins with a look inside a social media celebrity that, despite her picture perfect persona, has a toxic relationship with it. Her constantly running nose is a fact privy only to herself, until she meets a curious stranger. Looking forward to finding out what happens next after a very huge cliffhanger! 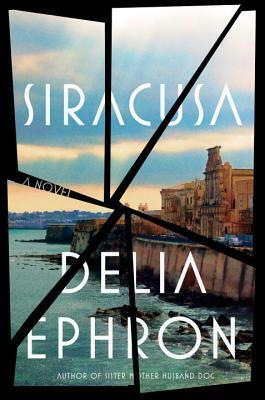 Siracusa by Delia Ephron: Two very different married couples (connected by a past romance) go to Italy on vacation together and it's so suuuuuper tense and edgy their anxiety rubs off on you. The book begins after the couples return, and they take turns narrating their version of the events leading up to the dark events hinted at in the beginning. The distinct voices of the characters offer a fascinating view into their psyches and motivations, and the rich descriptions of Rome and Siracusa transport you there. It reminded me of The Talented Mr. Ripley in many ways, so if you liked that, read this! The Dragon Behind the Glass: A True Story of Power, Obsession, and the World's Most Coveted Fish by Emily Voigt: I just finished The Dragon Behind the Glass, which is a non-fiction book about the Asian Arowana, the world's most coveted aquarium fish (one sold for $150,000). The book follows a reporter trying to find the fish in the wild -- a near impossible task -- and through that journey learn about worldwide exotic animal culture, far-off secluded countries like Myanmar and Borneo, the history of the natural sciences from Aristotle to Linnaeus, and more! It's a really fascinating read, and a great way to dive in (pun intended) to a bunch of worlds you might not know about otherwise. Invisible Cities by Italo Calvino: Beautiful description of the cities with all their underlying connections and symbolisms. Reading it has a soft, dream-like quality. If On A Winter's Night A Traveler by Italo Calvino: Two voices talk to you in this book. Very interesting writing! 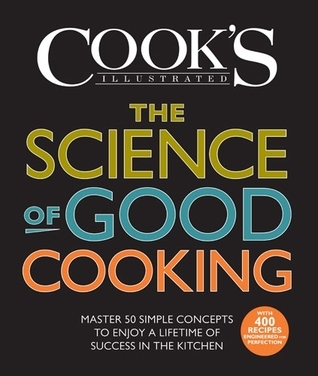 Cook’s Illustrated - The Science of Good Cooking by The Editors of America's Test Kitchen and Guy Crosby Ph.D: Science, sustenance, my OCD, and fire combine into a delectable stew in my belly. Yum. Wicked by Gregory Maguire: How had I never read this?! I love stories that thrust you into worlds that manage to feel fresh and familiar at the same time. The Fifth Petal by Brunonia Barry: I got my hands on an early copy of this (it comes out in January) and tore through it. Brunonia is my former employer and a dear friend, so I can't help but give her a plug here. If you've read her previous novels The Lace Reader and The Map of True Places, this is a signature Brunonia read -- a little haunting, a little mysterious -- a true Salem-steeped story that grabs you. 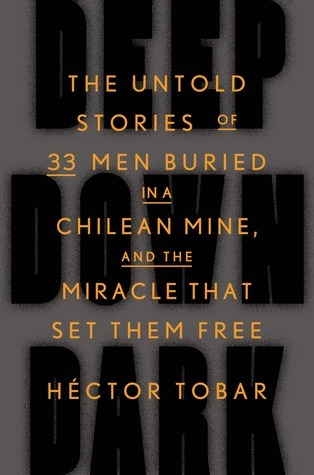 Deep Down Dark by Hector Tobar: 33 miners trapped under ground when the San Jose mine in Chile collapses in August 2010 for a record 69 days, surviving on nothing much more than a cracker and sips of water a day. Even though you know how it ends, it’s a real page turner! Mind boggling that they were capable of surviving as a group for that long under those circumstances. A God in Ruins by Kate Atkinson: It's kind of a companion book to Life After Life but you don’t have to have read that one (In fact I preferred A God in Ruins). Alternates between the story of a WW2 pilot on his final mission and his life in the present day. Easy read, interesting story, and a big twist at the end. The Last Painting of Sara de Vos by Dominic Smith: From Amsterdam 1631, about the first woman painter accepted into the Masters guild -- to NYC 1957 art restoration and forgery -- to Sydney 2000 where the story all comes together. Fun to read about dutch painting and life for a woman painter in the 17th century. A Garden of Letters by Alyson Richman: Continuing my interest in WW2 stories, this is about Italian Resistance fighters, first love, and music. History of Italy in WW2 that I was not familiar with. Beautiful Ruins by Jess Walter: Beautiful Ruins had everything I look for in a summer read—an exotic setting, interesting and intertwined cast of characters, and a fast-paced, romantic storyline. The Cinque Terre region of Italy has been on my travel list for years, and this book took me there, as well as offering a peek at the Hollywood studio system of the mid-20th century. Fool Me Once by Harlan Coben: I sorta blew through this one in a couple days. The Summer Game by Roger Angell: Reading it slowly. Each chapter is kind of like a standalone short story. The Matheny Manifesto by Mike Matheny: I've read it once, and reread different parts of it several times. I've also been sending along passages that I really enjoy to the parents of the Little League baseball team I coach. A sample excerpt: "I believe that the biggest role of the parent is to be a silent source of encouragement. I think if you ask most boys what they would want their parents to do during the game; they would say 'NOTHING.' Once again, this is ALL about the boys. I believe that a little league parent feels that they must participate with loud cheering and 'Come on, let’s go, you can do it,' which just adds more pressure to the kids. I will be putting plenty of pressure on these boys to play the game the right way with class, and respect, and they will put too much pressure on themselves and each other already. You as parents need to be the silent, constant, source of support." The Accidental Admiral by Admiral James G. Stavridis: The autobiography tells the story of how James Stavridis rose through the ranks of the navy to become a Four Star Admiral before being named as the first sailor to serve as Supreme Allied Commander of NATO forces. It is a fascinating story about leadership, diplomacy, and fostering relationships and dialogue with individuals to reach a common purpose and solve problems. 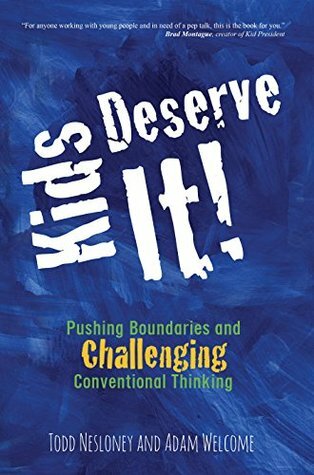 Kids Deserve It! by Adam Welcome and Todd Nelsoney: Public education in the US needs a good kick in the innovation. This book written by front line educators who are what I like to call "gentle rebels." They help inspire folks to ditch the "one size fits all" test-centric approach to teaching -- and instead empower kids to inspire kids to learn creatively. Their book confirms my own "create bravely" philosophy and I am sure it will resonate with anyone who has children in their lives -- whether they're educators, parents, or caregivers. What's Going On in There? How the Brain and Mind Develop in the First Five Years of Life by Lise Eliot, Ph.D: This is an incredibly interesting book by a neuroscientist and parent, who wants to reveal to the general public, in accessible language, the amazing things happening in a child's head as the brain and mind develop in infancy and early childhood. It's mind-blowing how every little experience, every word, every touch literally shape the brain and the mind, and the future person in general. It's powerful evidence to the importance of the nurture element, both scary (will I mess up my kid for life because I did X and not Y when he was a baby?) and very reassuring (whatever cards you were dealt by nature, there's always room for change via nurture). I highly recommend this book to anybody who wants kids, has kids, or just wants to know how a brain is built. Love, InshAllah: The Secret Love Lives of American Muslim Women edited by Nura Maznavi and Ayesha Mattu: A collection of thoughtfully assembled stories that provide an intimate look into the love lives of Muslim women. It spans across the spectrum of religiosity, ethnic make up, cultural backgrounds, and has something profoundly relatable for everyone -- Muslim or not. 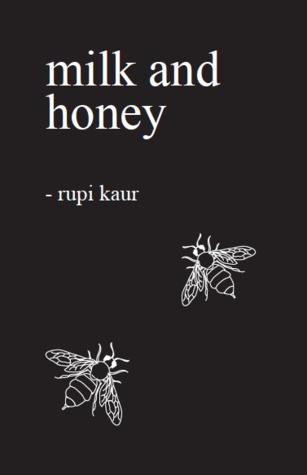 Milk and Honey by Rupi Kaur: Rupi Kaur is a gifted writer whose poems are constructed from words as sharp as the shards from broken glass. They frequently pierce your heart with those lurking but dormant feelings. With dark undertones, her carefully assembled words come together to capture a snapshot of the experience of being a woman, the complexity of parental divides, gut wrenching heartbreak, and the vulnerable currents that come with resilience. In Real Life by Cory Doctorow and Jen Wang: The art is beautiful and I especially like how the story touched on mature themes and told them through an adolescent's innocent perspective.